Dunscombe & Allied Families - GRAVE OF MATTHEW SHERWOOD, OLD STRATFIELD CEMETERY, BRIDGEPORT, CONNECTICUT. "Here lyes the Body of: CAPT. 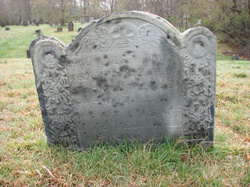 MATTHEW SHERWOOD, departed this life ye 26th of October, 1715, in ye 72 Year of his age." GRAVE OF MATTHEW SHERWOOD, OLD STRATFIELD CEMETERY, BRIDGEPORT, CONNECTICUT. ye 26th of October, 1715, in ye 72 Year of his age."